Paul: The invaders are coming. They’re a white tsunami sweeping across the land, surrounding and engulfing everything in their wake, threatening to drag it all beneath the waves. They settle and they spread, they capture and they conquer. Gradually, methodically, they destroy everything. You and your fellow spirits are all that stands in their way. Together, you will burn, drown and starve as many of them as you can. But, more than anything else, you’ll horrify them, with the hope that your actions are so soul-rendingly awful that their like are never seen again. It’s time to be terrifying. First of all, wow. I’m not sure when I last played something so wanton. 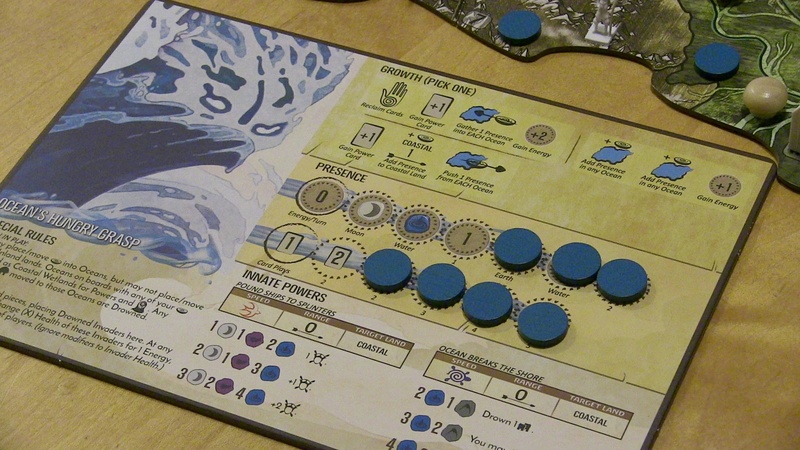 Spirit Island is a cooperative game all about annihilation, about levelling cities and slaughtering settlers. It gives you so very many ways to do this, so many combinations that produce the same two results: death and destruction. 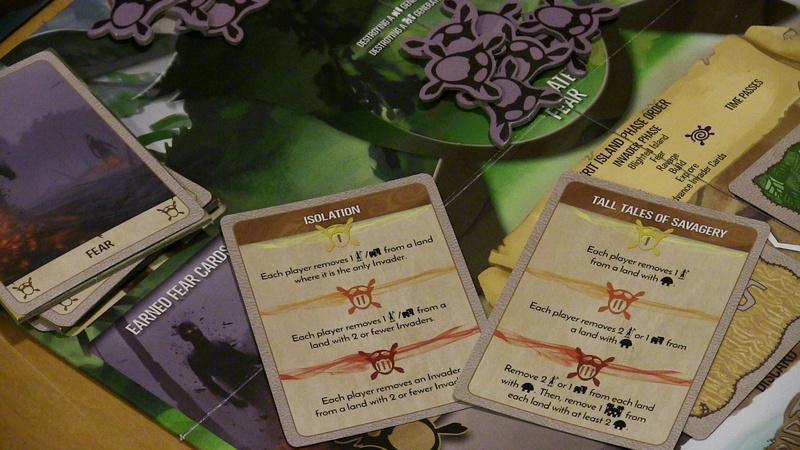 It’s also a coldly mechanical experience, with a card-driven menace that you come to understand and anticipate, so much so that it wouldn’t be unreasonable to label it “Pandemic with people.” You and your fellow players are trying your best to manage the constant, rampant growth of what is basically an invasive species: colonists. 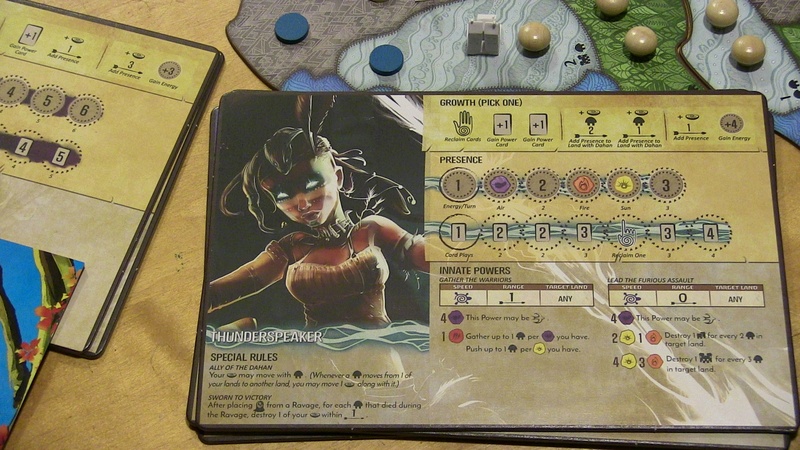 Unlike Pandemic, where each player flexes one unique talent, the spirits here can gain a wealth of abilities as the game progresses. To balance this, the invading forces themselves become more aggressive. They expand, they entrench, they cause irreversible damage. And if they cause too much, you lose. If they kill too many indigenous people, you lose. If they exhaust their deck of orders, you lose. You, meanwhile, begin so benign, each spirit almost powerless. You drop a couple of circular presence tokens, showing the few areas your spirit can work its magic near, and you hold a starting hand of meek, milquetoast power cards. 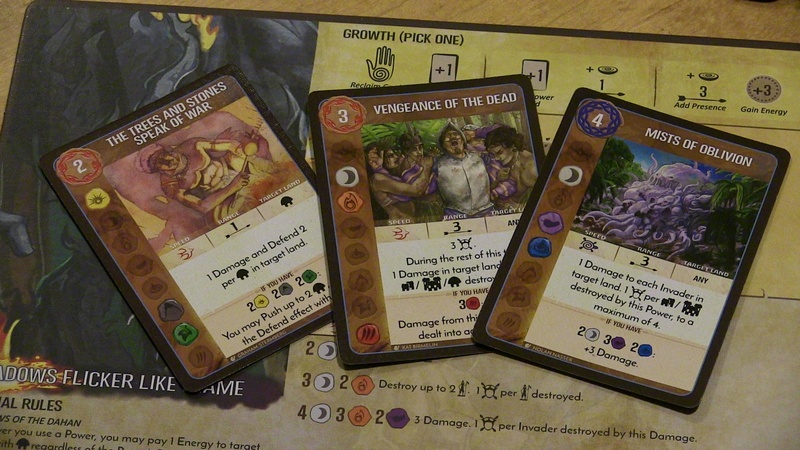 Each turn, every spirit chooses one of three actions which, in various combinations, will allow them to add more powers to their repertoire, accumulate some of the energy they need to unleash those powers, recycle their discard of exhausted powers or add a little more presence to the island. 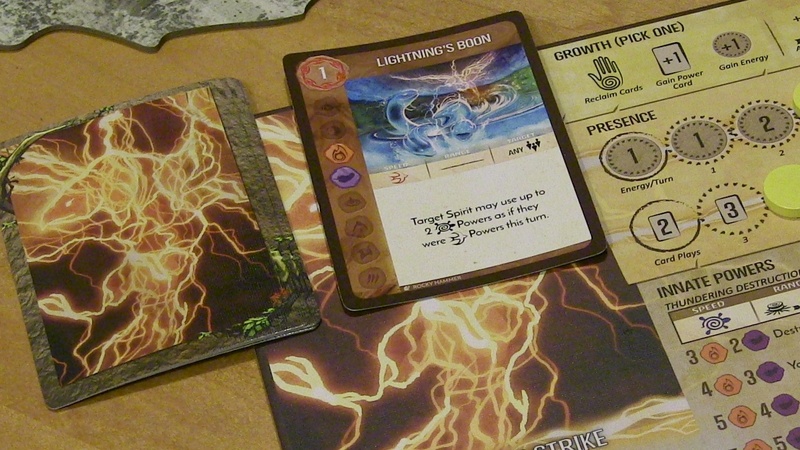 Adding presence has the bonus effect of pulling a presence token off a spirit’s board, which exposes another space on either an energy or a card track. The energy value is the amount of energy (or special, combo-causing element) you are guaranteed to gain every turn, while the amount of cards corresponds to how many powers you can unleash at once. Imagine being the sky god who has to choose between thunder or lightning. 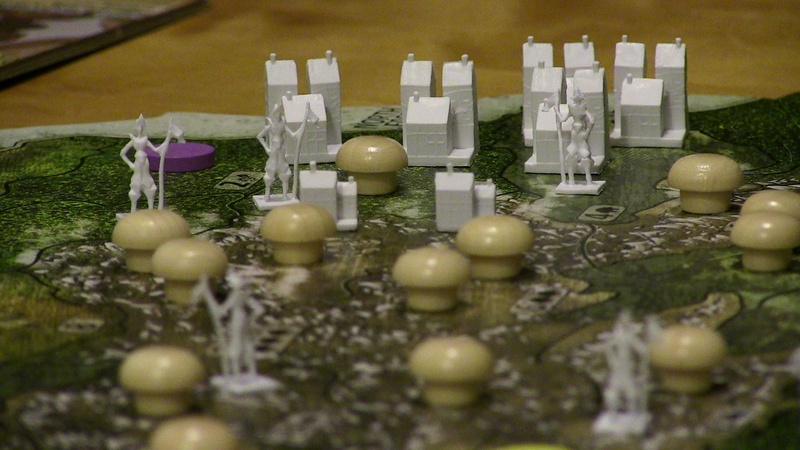 Meanwhile, the invaders have founded several settlements and are setting out to build more. Not only will those explorers build next turn, but every other settlement will also grow. Cities and towns birth even more cities and towns, making you feel like they’re unfolding out of each other like some non-euclidean nightmare. These people don’t stop. Invaders are also filthy. It won’t be long before they begin to ravage, killing the indigenous people that you need to protect and dropping grey blight tokens outside their towns and cities. Blight pollutes the land, spreads as effortlessly as warm butter and removes any presence tokens it touches. It can end the game very quickly if it becomes too common and you can clean some of it up if maybe you’re playing the right spirit or maybe you can flex the right power. But you’re barely coping. The spirit you start with is a persnickety poltergeist, only able to knock down solitary scouts or prod something into an adjacent space. You’re facing a flood with a mop. However, even small changes can yield significant results and if you can control where the invaders go, you have a far better chance of limiting their vandalism. You see, they march like clockwork soldiers, their actions ordered by cards that tell them what land types explore or ravage next, always sending them on the same predictable explore-settle-ravage routine. If you can nudge a town out of a jungle that it was about to pollute, that land will stay as clean as a germophobe’s whistle. Though such things may only work for one turn, that’s often all that you need. One more turn to hold out. To grow a little stronger. So you build your strategy around this predictable plodding, seeing where you have to act next and ignoring areas not in immediate danger. You begin a strange, turn-by-turn dance where you collectively guide and prune the invaders as best you can. A vital consideration in this quirky quickstep is the speed of each power you employ. Some fire off before the invaders take their turn, others resolve after. All this certainty is why Spirit Island has to make its invaders so powerful and so persistent. 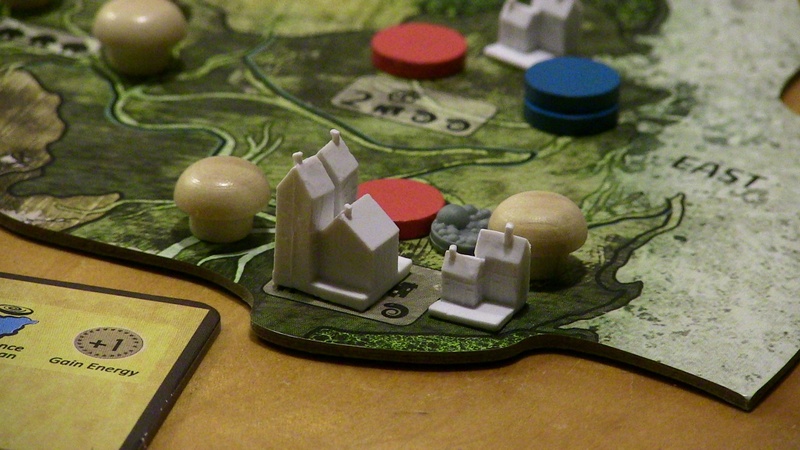 Whichever of the game’s colonial forces you play against (each with particular programming and abilities), the certainty of their actions is balanced by their severity. While it means you’re fighting a tireless beast of an opponent, it also means you’re rarely surprised. The challenge is more computational than creative; difficult, but dry. Still, there’s always fire, famine and flood to spice things up, and Spirit Island excels at giving you horrible ways to harm people. 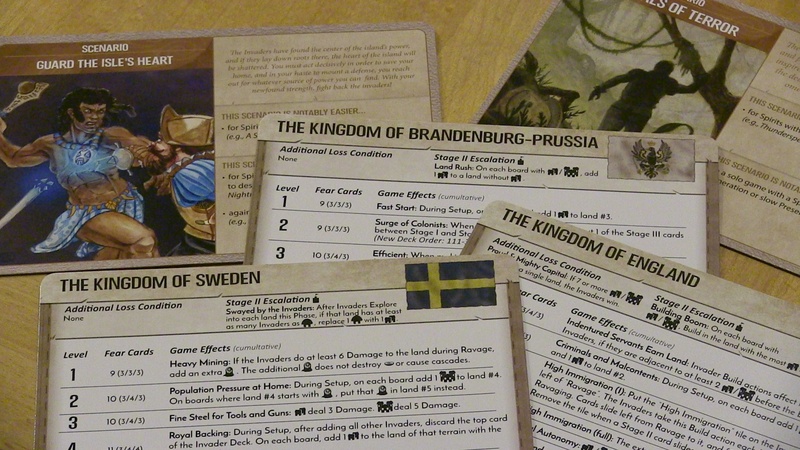 While you’ve been carefully corralling the invading forces, you’ve also gained new powers. You’re starting to feel strong. Depending upon which spirit you play, you either take the next card from a pre-drafted and predictable stack, or choose one of four from the huge decks of minor or major powers (discarding a minor power if you grab a major). Drawing from a big deck seems more exciting, but knowing what you’ll gain next can be hugely helpful, especially in the early stages. And there are so many. There are cards that create pillars of fire, cards that raise the dead, even cards that rot the land. The selection is initially thrilling, but the shine wears off as you realise that most of these distill down to the same basic outcomes: they damage invaders, they reposition something, they protect land from blight or they create fear. Fear I’ll explain in just a moment, but first let me tell you about being spirit buddies. Being spirit buddies is the best. Throughout the game, your limited and specific abilities mean you need to constantly talk to each other about which powers you can deploy and how those can help. Can one of you push invaders into someone else’s range? Can someone contribute a little extra energy? Can someone please make my powers fire faster?! With each spirit having particular abilities, plus a growing hand of unique power cards, you’re always discussing tactics. 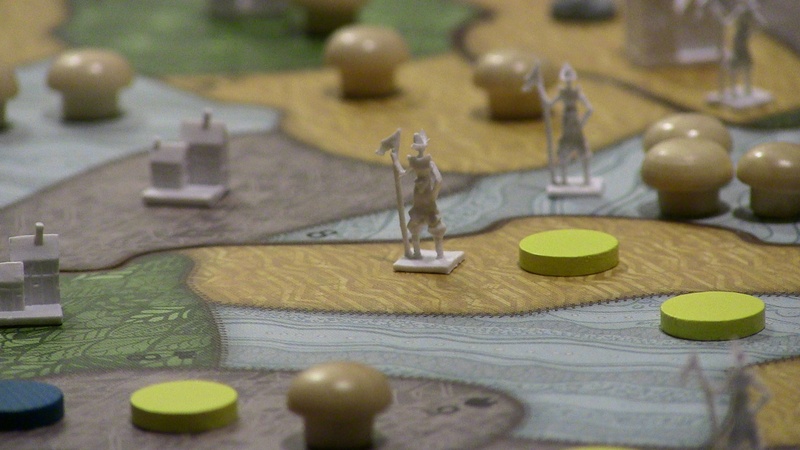 No one player dominates the decision-making, a common problem in some cooperative games, and it also gives a wonderful contrast to the reliable, robotic actions of the invaders. The spirits feel organic and ever-changing, even if you’re really just trying to squeeze the highest, meanest values out of the cards you hold. I know what you’re about to ask. Do some spirits compliment each other better than others? Absolutely. 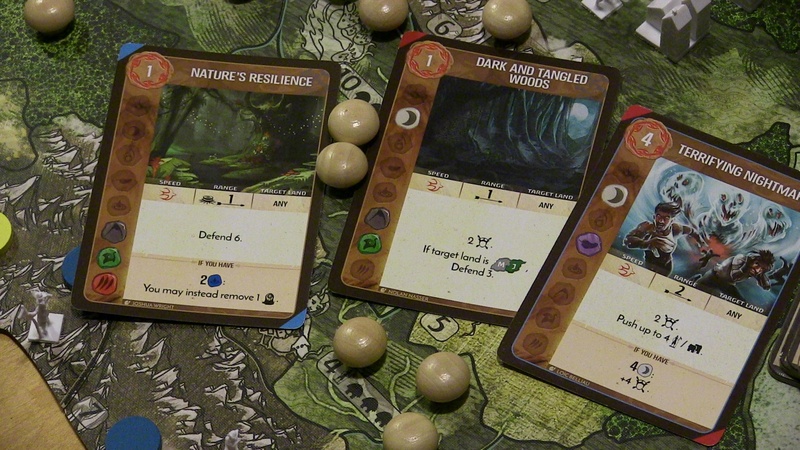 Two or three players choosing their spirits may end up with a weak or perhaps even doomed combination. 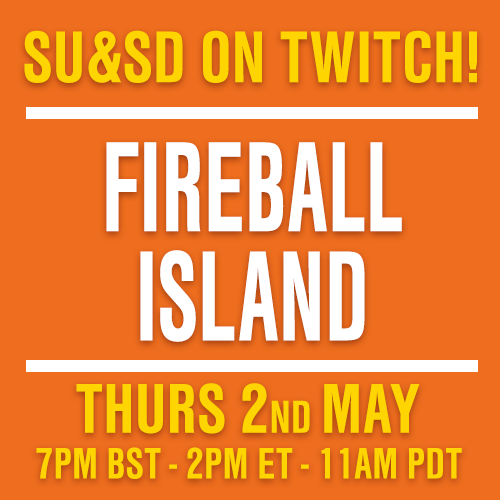 Disappointingly, though Spirit Island doesn’t feel dreadfully imbalanced, it can punish new players who aren’t able to deploy the right amount of damage, manipulation and… fear. While killing invaders helps, that fear is the currency that will buy most victories. Certain powers create fear, as does destroying a settlement. Once enough fear is earned, something snaps in the colonists and explorers might suddenly vanish, cities could be abandoned or the indigenous people might strike back. These events are sometimes turning points in the game, other times they’re barely a misstep in the march of the invaders, but trigger enough of them and you can reduce the victory conditions from having to kill all of your enemies to having to only remove towns or cities. It’s progress well-earned. And yet… All this hard work doesn’t feel exciting. 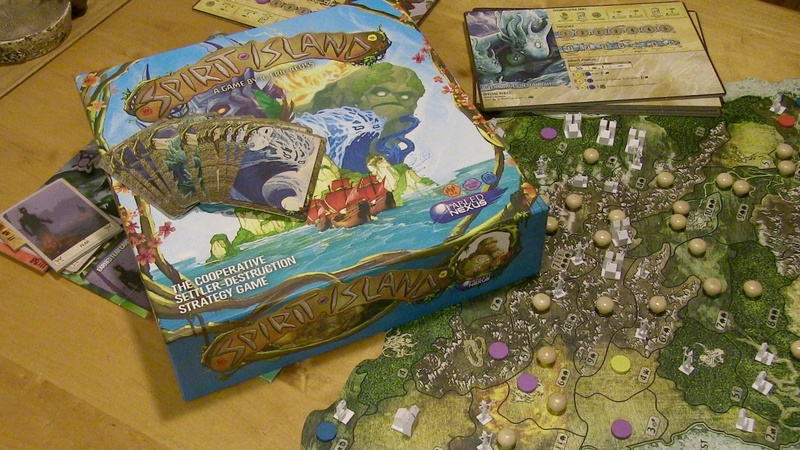 Spirit Island is constantly challenging and, depending on just how tough you want it to be, different scenarios and invaders can sharply alter various values and ratios, building faster or do more damage to the environment. These are variations on a theme, however, and the more I tried different things, the more familiar they felt. Don’t get me wrong, I appreciate the momentum, the single-mindedness of those advancing antagonists, but I also began to want something more spontaneous. 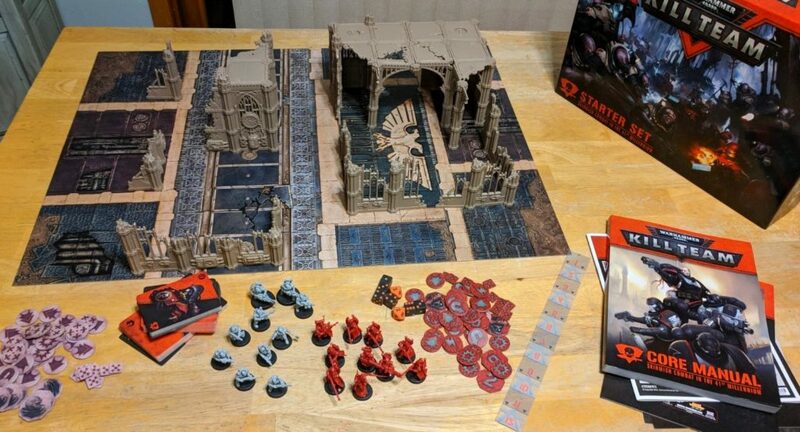 Sure, cooperative experiences likes these are often going to have an at least somewhat solvable, somewhat mechanical opponent that faces the players, but every game I’ve played has followed the same arc: It began almost overwhelmingly difficult, we wrestled things under control, then we wrought vengeance. It became as predictable as its invaders. 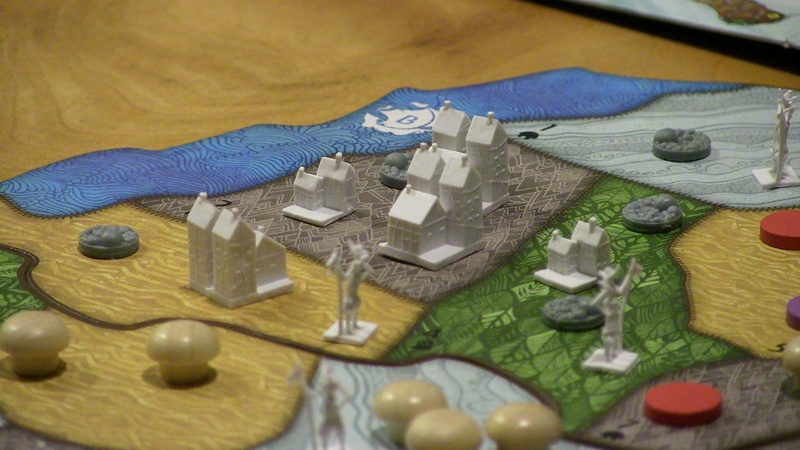 Spirit Island is a tenacious and taxing experience that turns the traditional colonial/resource exploitation theme on its head, showing indigenous people fighting back (also a pleasant change from the West’s modern invasion paranoia, à la Fortress America). 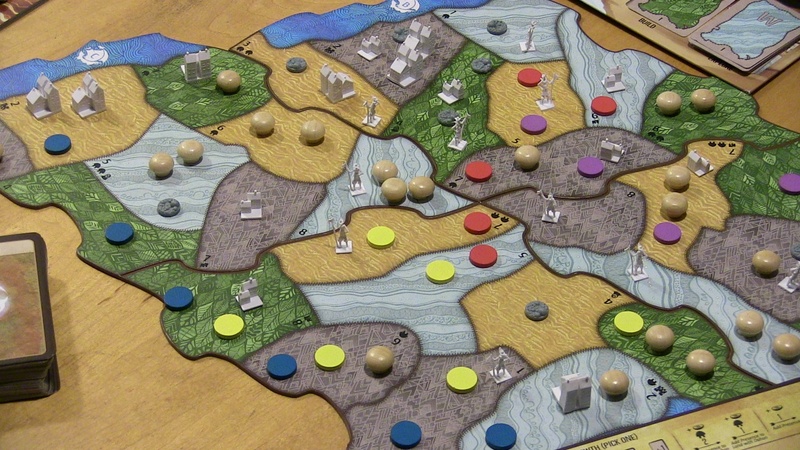 Its ideas and its approach are very welcome, earning it many hours on my table the last few weeks, but there are too many other cooperative games I want to return to. It just doesn’t quite cut it. 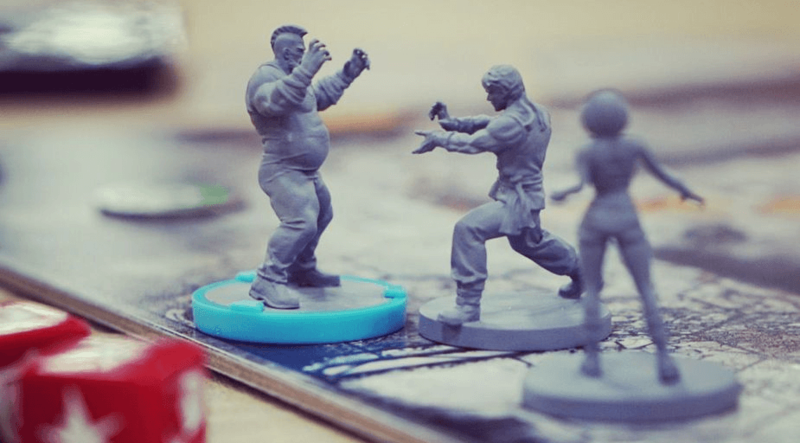 Pandemic Legacy is still one of the finest all-round experiences out there, while Freedom: The Underground Railroad remains one of the toughest. 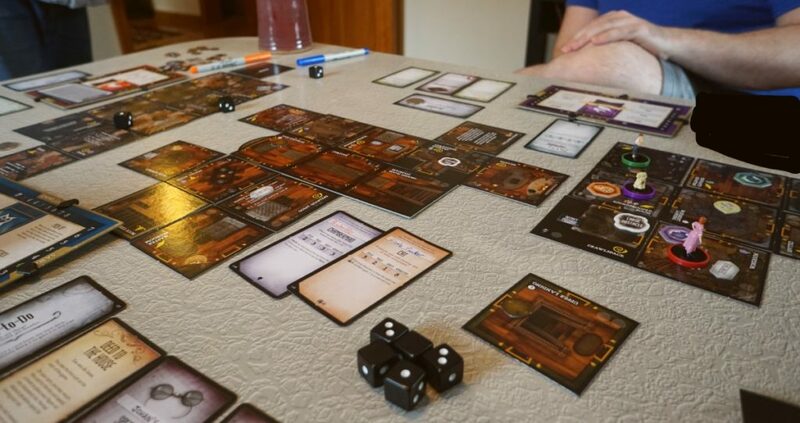 Space Alert offers something more madcap and unpredictable, and Mysterium shows how difficult things get when they become even a little abstracted. Though I’ve enjoyed Spirit Island’s fire and ferocity, it’s only made me miss these favourites.